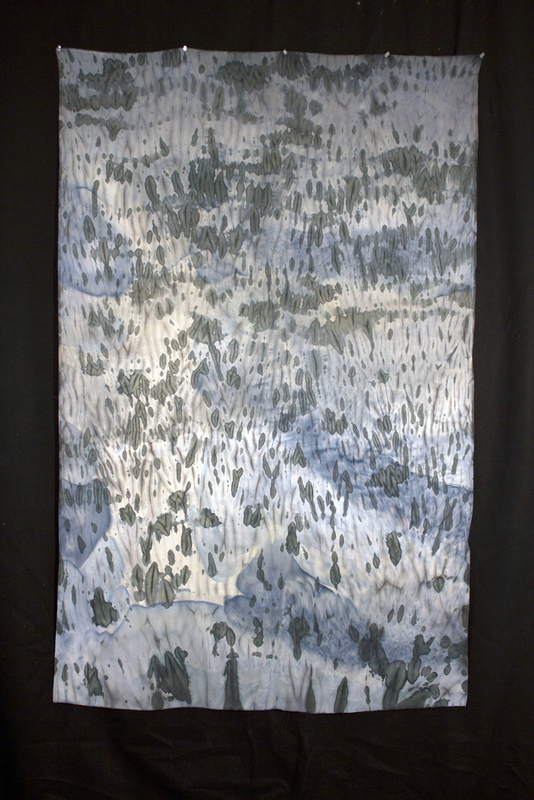 I began as a traditional painter, but with time I wanted to collapse the space between object and viewer, creating an interactive experience that engages all of senses and forces unconscious exploration.My hand painted and drawn panels of silk charmeuse range in size from 18 inches wide and 3 feet long to 4 feet wide and 12 feet long. Most are suspended from the ceiling a few inches away from the wall. Some are stretched like conventional painting and some are tacked directly against the wall. Others are taken off the wall and made into functional throws and wraps.